A great interior layout with a 9’1” beam * 2015 Survey! The single-level cockpit has convenient molded step access to the walk-through windshield, and a generous swim platform and spacious mid cabin provide a very comfortable cruising experience. 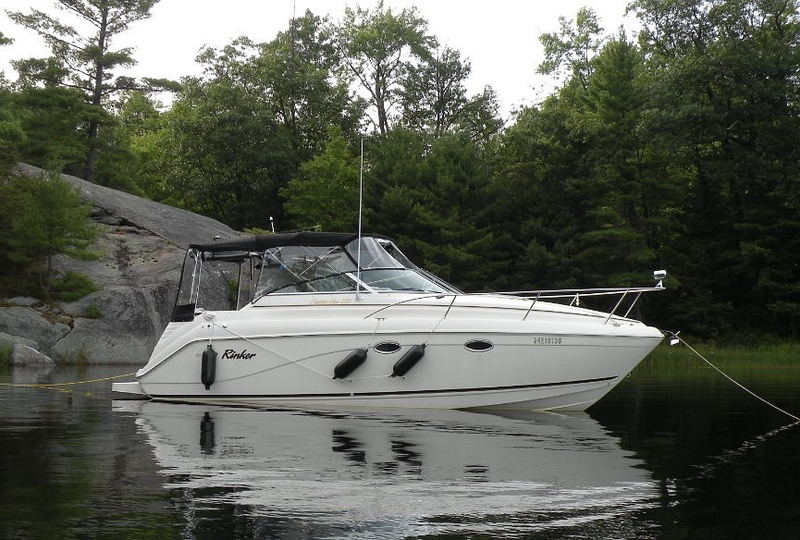 This Rinker 270 has been well maintained and is equipped with windlass, GPS w/digital depth, marine BBQ, safety and mooring equipment and electric engine hatch.